It’s cold outside and you and the kids want to get out of the house. Here are some great activities in the Metro Detroit area that will chase those cabin fever blues away. Visit an indoor playground. There are many places for your child to go that will help them expend their energy. 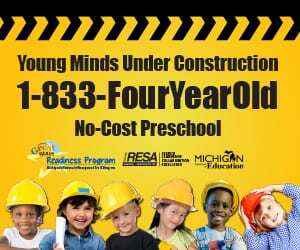 New businesses are opening in the Metro Detroit area, which means more fun for our children. Previously, the choices were limited to visiting a fast food play place or a local mall with a play area. Now there are options like Jungle Java, Boogie Babies, and other indoor playgrounds. These are great places for your child to burn off that extra energy, meet new friends, and especially give mom and dad a chance to relax while the kids are having fun. Visit an indoor water park or pool. The Warren Indoor Water Park is a great place to splash and play on a cold winter day. There are also many other places in the Metro Detroit area that have indoor pools with open swim times. Go bowling!!! A great way to burn off some energy and pick up some math skills. Ask the bowling alley if you can get a traditional scoring sheet so that you can show your child how to keep score. Go flip crazy at a Metro Detroit gymnastics center. Many gyms now have open gym times so the public can come in and enjoy the facilities for an hour or two. Jump, flip, tumble, balance and just have fun. Bounce your rainy day away. Indoor bounce houses have popped up all over the Metro Detroit area. Indoor inflatable slides, obstacle courses, climbing walls and bounce houses give your child plenty of opportunities to have fun. The best part for parents is the nap that will inevitably follow. Read a book at your local library. Many Metro Detroit libraries and book stores offer story times for a variety of age groups. They also host fun activities, offer coloring pages and some have toys and play areas. 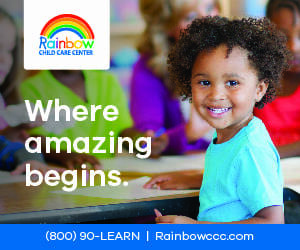 What a great place to learn, meet new friends, and have fun on a rainy day. Visit a Museum. The Metro Detroit area is filled with great learning experiences through our fantastic museums. Whether your child is into Art, Science or History, you have plenty of options. The newly reopened Michigan Science Center, DIA (now free) and other museums have great programs designed just for kids. See a Movie or Show. Visit a Metro Detroit movie theater or see a live performance at one of the local theaters. The Detroit Symphony Orchestra has special engagements just for children, while the Fisher and Fox Theaters often host performances geared toward younger audiences. Go skating at one of the many Metro Detroit roller or ice skating arenas. A great family activity for a cold winter day. Check your local rink for open skate times.